Organised labour and civil society protesting for new minimum wage in Lagos …yesterday. 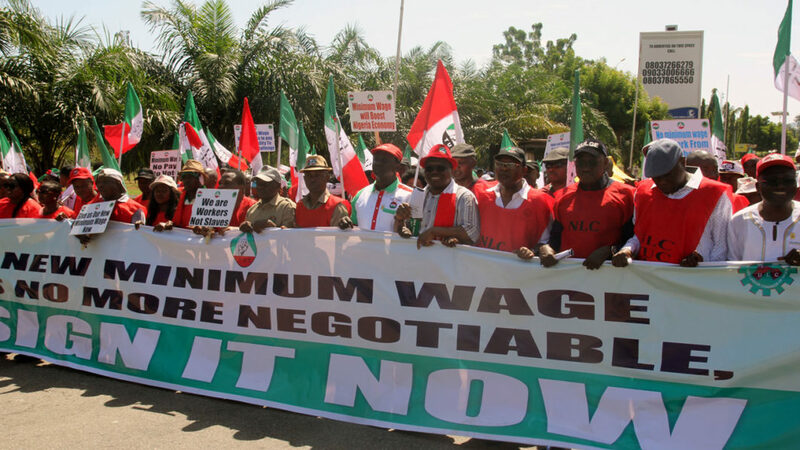 Besides insisting it would take nothing less than N30,000 as new minimum wage, organised labour yesterday threatened to vote out any government that refuses to meet its demand. It gave the ultimatum in a nationwide protest it held to reaffirm its position and warn Nigerians to stock up on food as the countdown to its planned November 6, 2018 strike nears zero.It also used the occasion to criticise Minister of Labour and Productivity Chris Ngige for allegedly misleading Nigerians on the figure arrived at by the tripartite committee consisting of the Federal Government, organised labour and the private sector. The protesters, through various spokespersons, accused government of failing to prioritise the welfare of workers, saying there is no justification whatsoever for a refusal to pay the new wage. 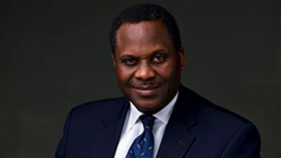 “Anyone that cannot compensate the working people of the state is not worthy to be a governor. The message is that they should be voted out and we will … ensure that we force a campaign against these governors,” Deputy Vice President of the Nigeria Labour Congress (NLC) Amaechi Asugwuni said in Lagos. The Chairman of the Nasarawa State NLC chapter, Comrade Abdullahi Adeka, re-echoed the threat. At a press conference in Lafia, he said organised labour in the state, following an executive meeting, had decided that any governor who cannot pay the new wage is unkind to workers and must therefore be voted out. In Lokoja, the Kogi State capital, state chairman, Comrade Onuh Edoka, led the marchers with a warning to government to fiddle with the new wage and risk being voted out.Yesterday, state governors rose from an emergency meeting in Abuja, saying they could only afford to pay N22, 500. But in a swift reaction, NLC President Ayuba Wabba told The Guardian that the organised labour would not accept the figure. He said the new wage is not an award but a figure that was jointly arrived at through negotiation. He described the Governors’ Forum as a body unknown to Nigeria’s law and is therefore not in a position to determine national minimum wage. Wabba added that labour would address the press today in a comprehensive response. Also, President of the United Labour Congress (ULC) Joe Ajaero condemned government’s “No Work No Pay” rule, describing it as an assault on organised labour. It is an obsolete law, which is dead on arrival and can never be implemented, he said. “Organised labour frowns on the manipulation and bending of facts in an attempt to delay or derail the processes needed to promulgate a new national minimum wage. Accordingly, we call on government to take immediate necessary steps to ensure the enactment of a new national minimum wage, as we cannot guarantee industrial peace and harmony,” he added.